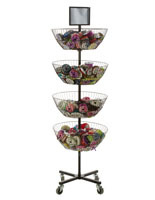 It's no secret that successful retail merchandising depends in large part on visibility. 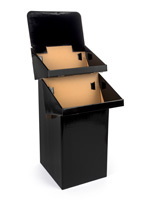 Can dump bins give customers added access to merchandise, allowing them to see, find and select items, thereby increasing overall sales? 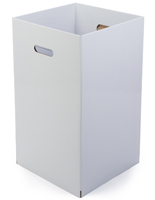 The beauty of using retail store dump bins is that they are available in an almost limitless range of sizes, materials and styles to match the needs of almost any environment. 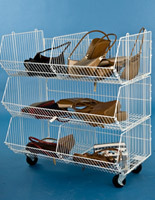 From specialized acrylic containers designed for candy or condiments to open wood barrels or cardboard racks ready to be filled with anything from toys to plumbing pipe, the bulk display fixture is an economical way to keep any sales floor, department or counter organized and tidy without limiting customer access to stock. 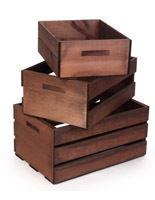 In fact, merchandise dump bins, sometimes called retail store display containers, put the "impulse" in "impulse buy" by encouraging customers to explore the contents rather than simply passing by. 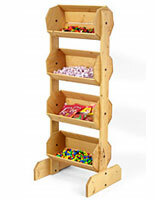 A selection of products stacked neatly on shelving allows customers to pass by quickly and find out with a simple glance what is available. 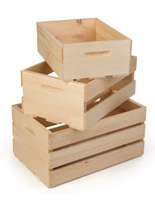 Human curiosity almost requires the same customer to thoroughly explore a container with exactly the same items jumbled in it to see what is there. 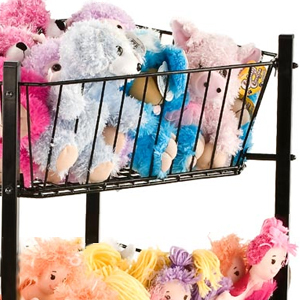 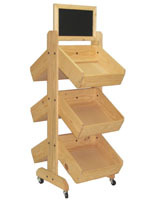 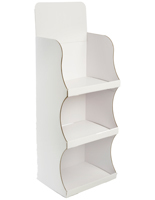 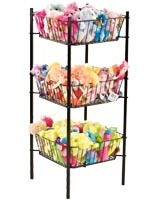 Many articles do not lend themselves to organized stacking or folding; grouped displays of like or similar merchandise keep sales areas organized while encouraging customers to purchase. 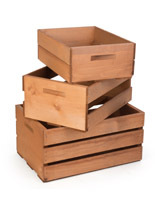 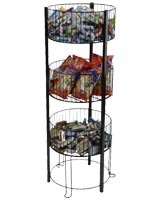 What are the different styles of bulk display bins? 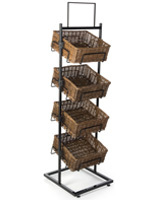 Wire dump bins are available in many sizes and styles, from simple grid-style structures for floor or countertop use holding impulse items to intricate iron scrollwork baskets that rotate independently. 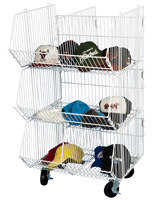 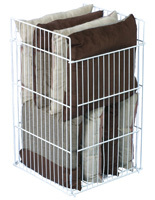 In addition to wire containers, metal frames can provide sturdy structures that serve as a base for plastic or wooden baskets and boxes. 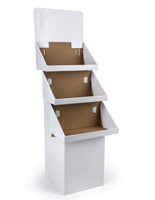 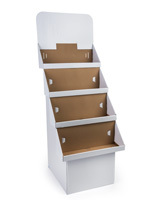 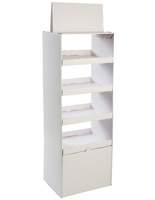 Cardboard bulk display bins are perfect for retail store use, especially for sale or special merchandise. 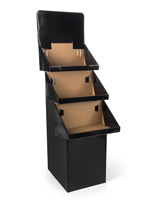 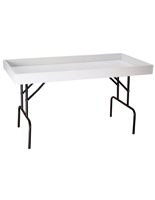 Available in a variety of sizes from small countertop rack-style boxes to freestanding floor displays, these lightweight and portable fixtures can be easily moved to follow traffic (and purchasing) patterns within an establishment. 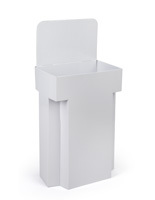 Plastic / Acrylic Bins come in stacking and individual styles. 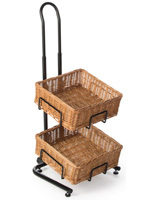 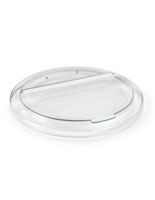 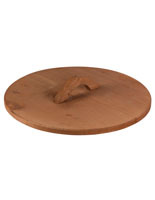 Small, lightweight holders fit easily on checkout counters or display tables and shelves for impulse items and related accessories. 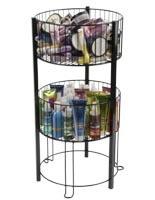 Clear acrylic bulk displays bins can dramatically increase how many items will fit on a shelf or in any area, without impeding visibility or accessibility. 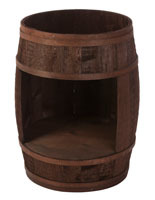 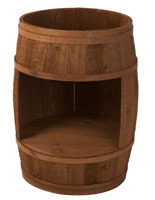 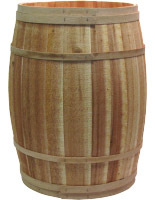 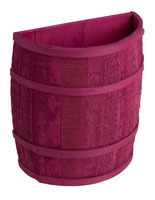 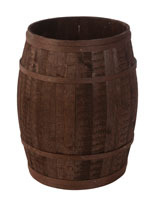 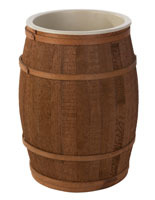 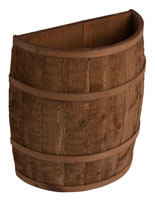 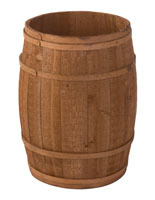 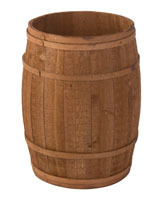 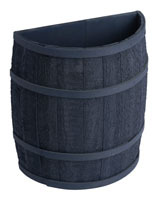 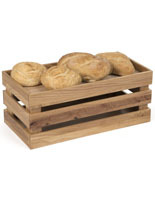 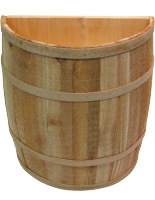 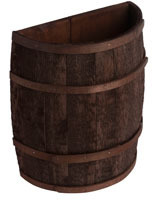 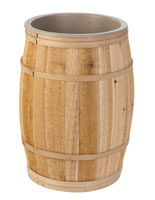 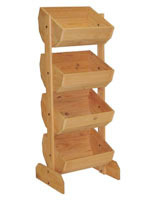 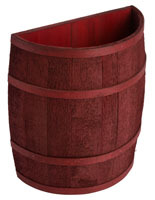 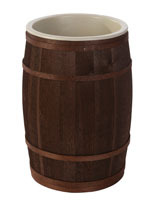 Wood barrels and baskets are available in a variety of configurations. 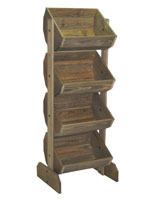 While these fixtures may often give a more "rustic" feel to a retail store, their eye-catching construction and design will definitely draw attention. 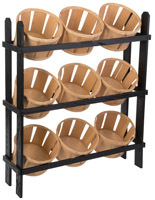 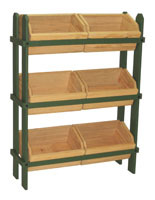 Wood racks can also be used as a framework to hold contrasting plastic or wire fixtures and baskets, as well as coordinating wooden ones. 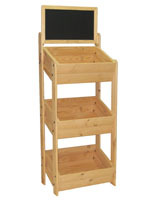 Fixed location retail store fixtures are designed to present inventory selections to customers in an organized and appealing way in a set context. 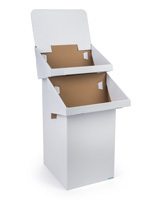 Bulk containers in stylish wire, economical cardboard or other materials are perfect accessories for any sales environment, because their portable nature allows them to be placed in high volume, high traffic areas. 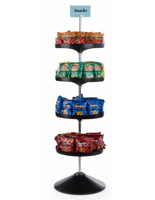 By encouraging customers to physically interact with merchandise by looking through it, this type of fixture can help increase sales volume.